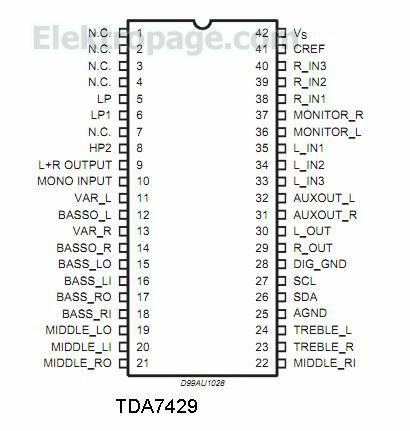 The TDA7429L is volume tone (bass middle and treble) balance (Left/Right) processors for quality audio applications in TV and Hi-Fi systems, providing also an additional subwoofer control. The AC signal setting is obtained by resistor networks and switches combined with operational amplifiers. Thanks to the used BIPOLAR/CMOS Technology, Low Distortion, Low Noise and DC stepping are obtained.